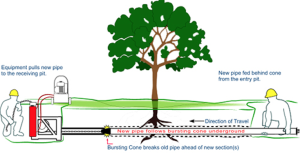 It may be possible to repair or replace your sewer using a trenchless technology known as pipe bursting, which minimizes the amount of digging involved. Dwyer Plumbing provides trenchless “no dig” solutions known as pipe bursting or in Northern Virginia. If your sewer line is backing up, draining slowly, or leaking, we can perform a video inspection to identify the cause and the location(s) of the issue(s). More than likely, tree roots have cracked through the line, allowing debris to build up, causing backup. It’s also possible that items washed down the sink or flushed down the toilet have heaped together. 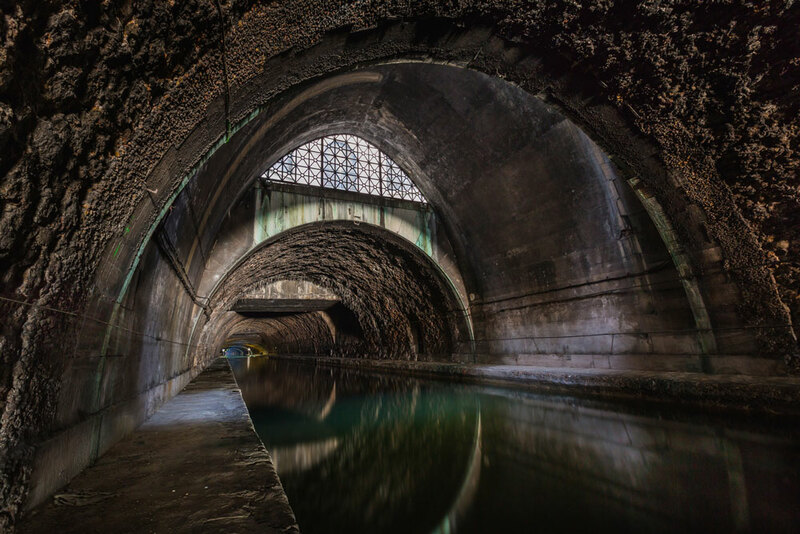 Other factors include how well the type of material used (e.g., terra cotta, cast iron, Orangeburg, transite, ABS, PVC) has held up to constant water and roughage, and how well the original installation was performed. When a relatively young sewer has failed, it was almost certainly improperly installed. Dwyer Plumbing has replaced sewers in many relatively new neighborhoods that had their sewers built incorrectly. 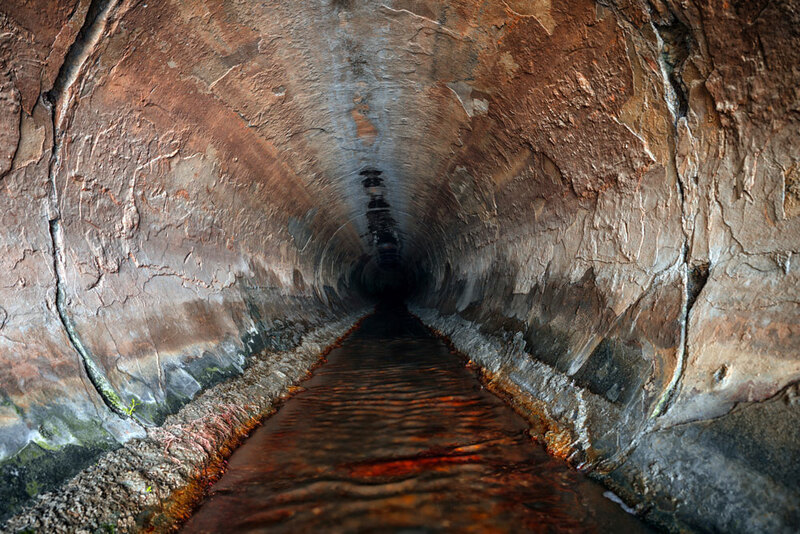 In old sewers deterioration or tree roots are the likely cause. Usually located around ten feet below the ground, repairing or replacing a sewer requires serious knowledge, skill, patience, and brawn. Dwyer Plumbing will explain the issues, present you with a DVD of the inspection, answer all of your questions, and send you a written proposal of the work to be performed. Your repair or replacement will be backed by our warranty. Master Plumber Dan Cochran, who has been in the trade since 1978, was a Plumbing Apprenticeship Instructor in Fairfax County for 24 years. We know our trade. We’re here to help you. Friendly staff — our employees come to Dwyer and stay for the long term. We’re a good place to work because we hire only the best and the friendliest. We value our employees. No pressure — our employees aren’t paid on commission, unlike most of our competitors. Companies that pay on commission aren’t doing a service to their customers, they’re often trying to sell you something you don’t need. Local Expertise — our staff has been serving the area for decades, we know the nuances of the neighborhood sewers, construction, water pressure, etc. We know Northern Virginia. We are a "Class A" licensed and insured company in the trades of plumbing, HVAC, and gas fitting. Our highly trained, knowledgeable craftsmen serve the repair, maintenance, and installation needs of residential, commercial, and government customers. Family owned and operated. We accept Cash, Check, Visa, MasterCard, Discover, and American Express. Serving Alexandria, VA | Annandale, VA | Arlington, VA | Burke, VA | Fairfax, VA | Fairfax Station, VA | Falls Church, VA | Lorton, VA | Springfield, VA | Mclean, VA (east of 495) | Vienna, VA | and most of Northern Virginia.